Established in 1990 and led by Huw Morgan, Paul Neale, and Andy Stevens, Graphic Thought Facility has emerged as one of the most progressive and creative design firms working in both two and three dimensions. This exhibition, the first to explore the work of a contemporary graphic design studio at the Art Institute, presented GTF’s inventive approach that cuts across commercial and cultural practices and high-tech and low-tech modes of production. Committed to the expressive power of images and typography, GTF is known for pushing the boundaries of materials and methods with designs for publications, exhibitions, and brand identities that reinterpret traditional forms of graphic production. Rejecting the slickly styled graphics that characterized much of British design in the 1990s, GTF instead favors a “do-it-yourself” aesthetic. 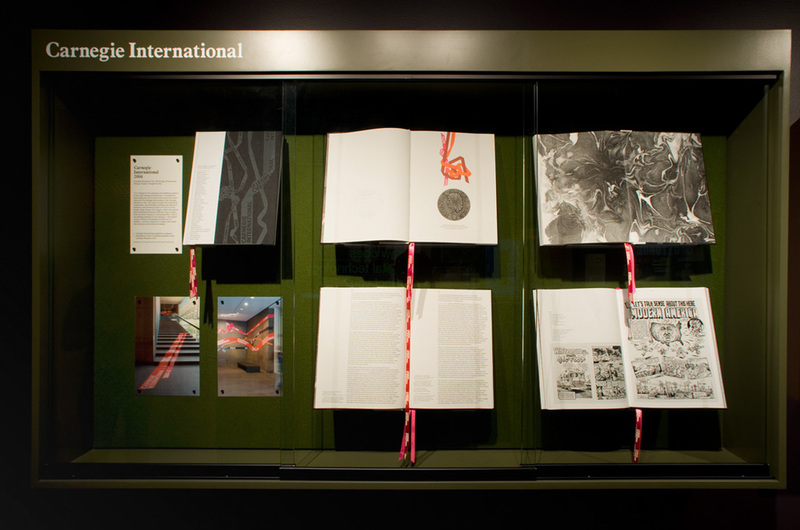 This ethos was incorporated into the exhibition design, highlighting questions about how this type of ephemeral graphic design production should be displayed in the context of the museum. In collaboration with the curator, the designers created an installation that took cues from the ubiquitous bulletin boards in design studios, here custom-made in eye-popping colors. Their work was pinned and mounted to the boards in an informal yet cohesive presentation, reinterpreting traditional museum displays and creating a familiar and accessible format for engaging with this work on an individual and collective basis.